The Mulberry Harbour Phoenix Caissons are two caissons of reinforced concrete, built as part of the artificial Mulberry Harbours that were assembled as part of the Normandy landings during World War II. Out of the 213 caissons produced, several are still in use in Britain today; two of which are based in Portland Harbour. 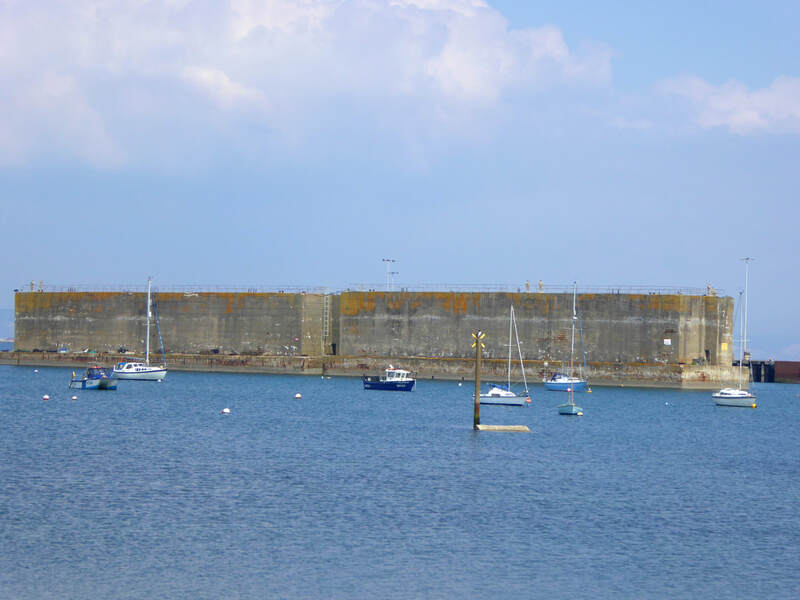 Dating to 1943-44, they are located approximately 115 metres north of Castletown Pier at Castletown. Each caisson is approximately 60 metres long, 20 metres wide, and 15 metres high, with a weight of 7,700 tons. 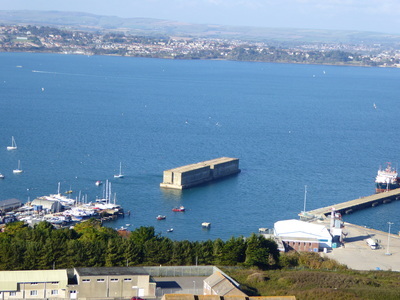 Portland's two caissons became Grade II Listed in May 1993. When planning the invasion of France, concerns were raised over the viability of supplying and reinforcing the Allied troops who would set foot ashore. 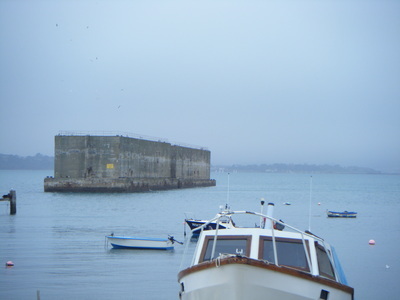 The only reliable method of landing large quantities of resources and men was through a major port, however the German army occupied all of France's harbours. 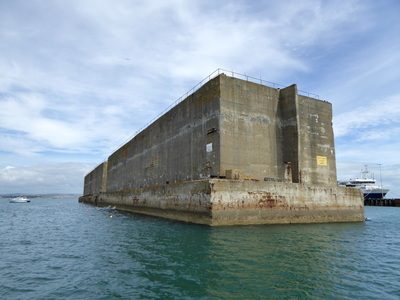 The solution was the Mulberry Harbour and following approvals of the final designs, the prefabricated sections needed to form two of these temporary, artificial harbours, each the size of the port of Dover, were built in Britain during 1943. Facilities all along the south coast of England were utilised for the construction of 213 caissons and the many other components needed for the scheme. 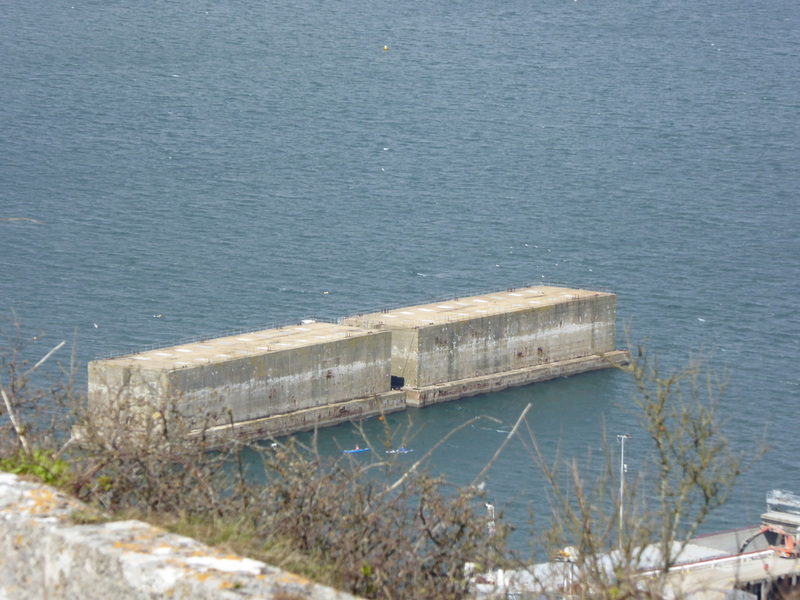 As part of the Mulberry Harbour project, a number of Bombardon units were assembled and tested in Weymouth Bay during 1943-44, and some remained in Portland Harbour prior to being towed to France. 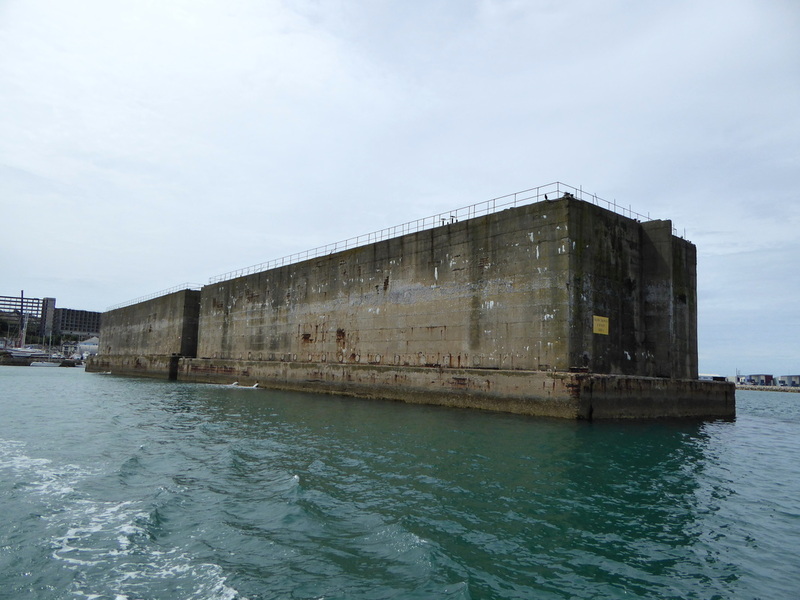 The Bombardons were 61 metre long cruciform steel floats, designed to form a breakwater for the protection of the harbours against storms and fierce sea conditions. 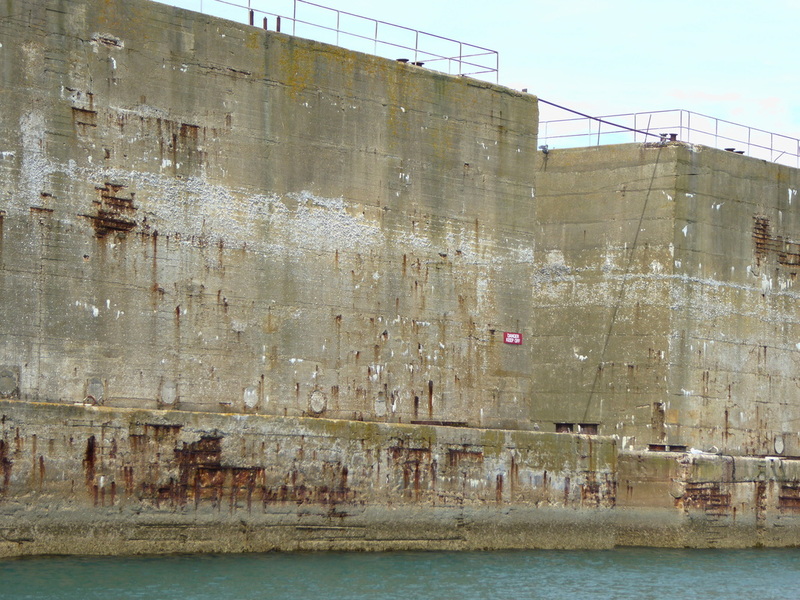 The Bombardon units that were tested at Weymouth were constructed in Southampton Docks. 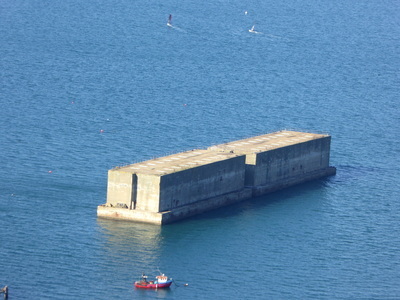 One of the units taken to Portland was wrecked on the inner side of the outer breakwater at a depth of 11 metres and remains a popular dive site today. 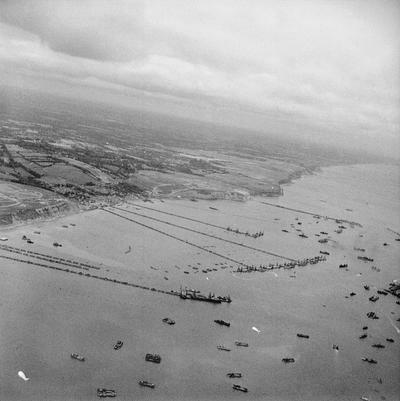 In the wake of the invasion, over 400 component parts of the two harbours, including 146 caissons, were towed across from various UK ports to Normandy. 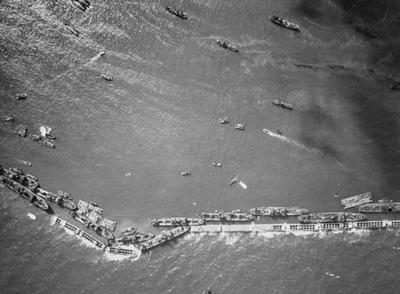 In a ferocious building program, the pieces were put together off Normandy, creating two operational harbours within two weeks; Mulberry "A" was established off Omaha Beach and Mulberry "B" off Gold Beach. 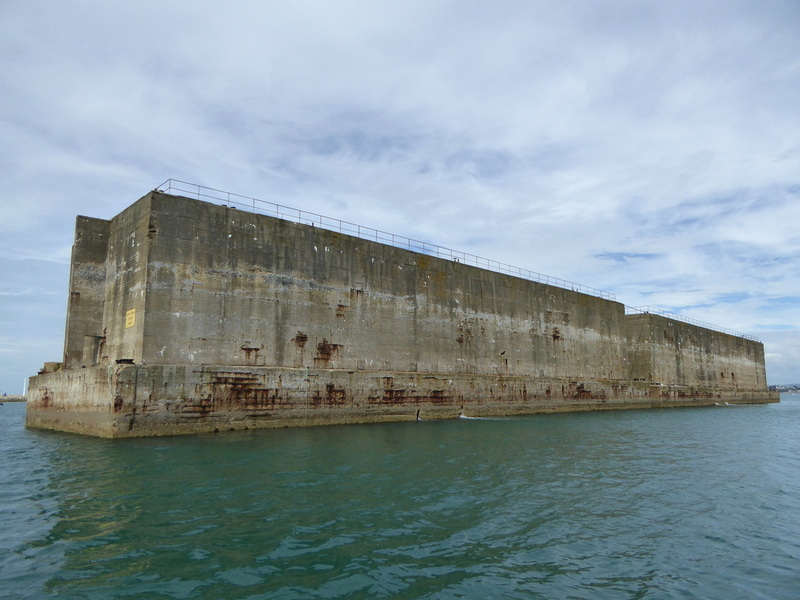 Although Mulberry "A" had to be abandoned following extensive damage in a storm of late June 1944, Mulberry "B" remained in use for ten months for the landing of over 2.5 million men, 500,000 vehicles, and 4 million tonnes of supplies. 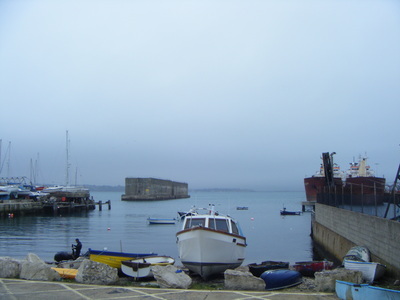 Following the successful invasion and liberation of Europe, the Mulberry Harbours were considered a success. 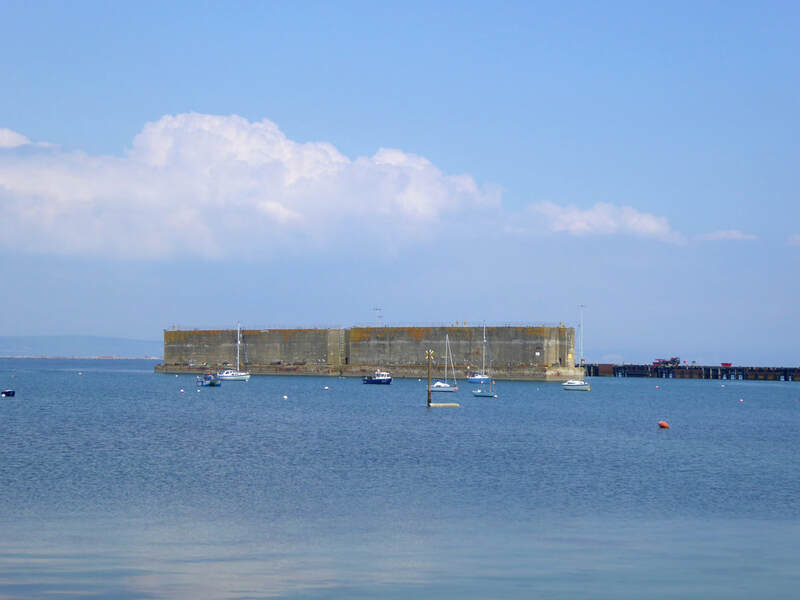 Many of the caissons used would either be left where they were planted, due to the sheer size of them and lack of salvable material, while some were towed to the Netherlands to repair breaches in the bomb-damaged dykes. 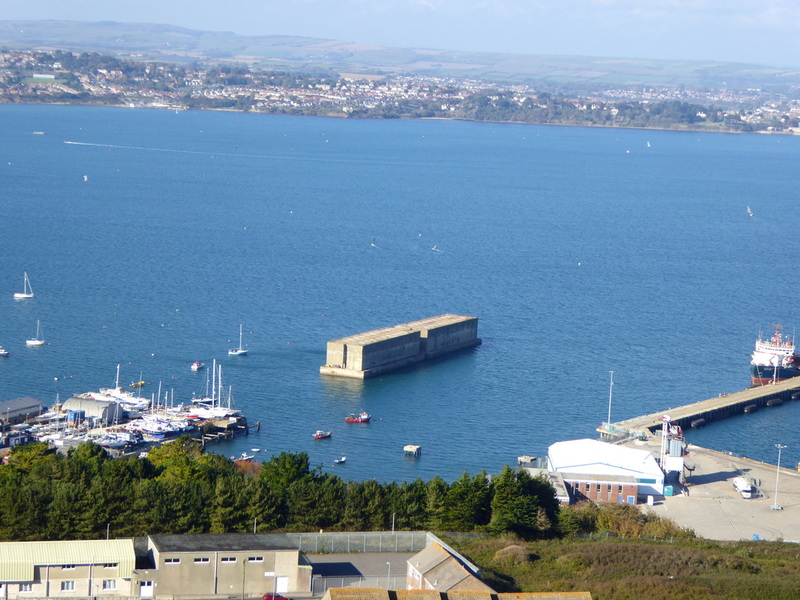 In 1946, ten caissons were towed to Portland where, as per the Admiralty's intention, work began in 1947 on creating a new inner harbour with them, capable of berthing the latest Royal Navy Battle Class destroyers, as well as submarines. The First Sea Lord, Admiral Sir John Cunningham, inspected progress on the work during a visit to Portland on 14 October 1947. The caissons went on to provide shelter for the construction of a new pier at Portland's dockyard, known as Queen's Pier (or Q Pier), which was completed during the early 1950s. Despite the Admiralty's original intentions of permanently retaining the ten caissons, eight were later towed to the Netherlands to be used in the repairing and blocking of breaches in the dykes, following the great storm of early 1953, which had occurred overnight on 31 January-1 February in the southern North Sea. While severe flooding was seen in England and Scotland, the Netherlands suffered far greater damage, where it was reputed to have been the worst flooding for 300 years. 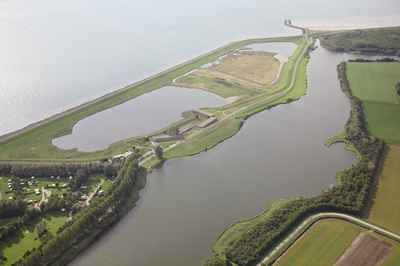 The dykes were left with breaches in 67 locations, resulting in the deaths of 1,836 people and 9% of all Dutch farmland flooded. On 20 May 1953, the Dorset Daily Echo reported that the Dutch Authorities had the eight caissons at their disposal, and as such they were to be raised and towed to Holland to form defences against future floods. By 17 July 1953, six caissons had been successfully towed by Dutch tugs to the Zeeland province. One ran aground at Oosterschelde in bad weather and was temporarily abandoned, but later towed and placed near Serooskerke. The seventh and eighth caissons arrived from Portland a short time after. 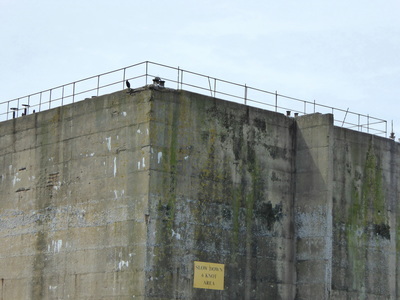 Four were used to close the biggest gap in the dykes at Ouwerkerk, while one was used at Kruiningen, South Beveland, and two others at Dreischor. The final caisson was put into position at Ouwerkerk on 6 November, completing the country's repair work. 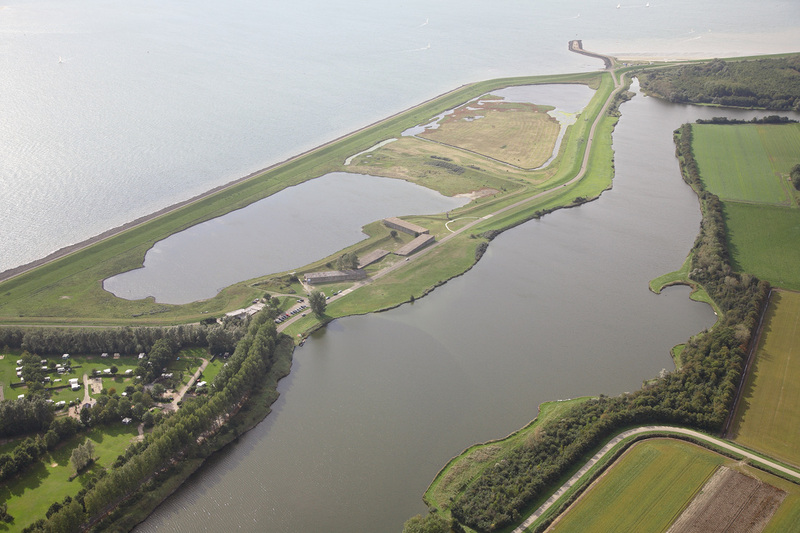 Today, the four caissons at Ouwerkerk house the Watersnoodmuseum, a museum dedicated to the floods. 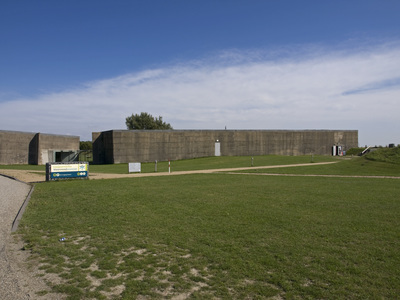 Plans for a museum were made during the 40 year commemorations in 1993 and a working group opened Watersnoodmuseum in 2001. Initially it was housed within one caisson, until major refurbishment and expansion saw the museum base itself within all four caissons. 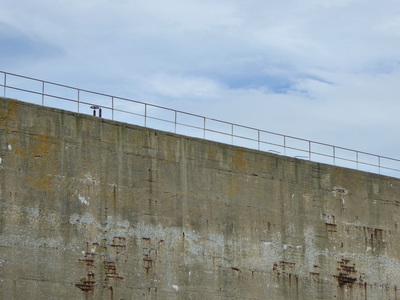 It was then re-opened in 2009 by the Prime Minister Jan Peter Balkenende. 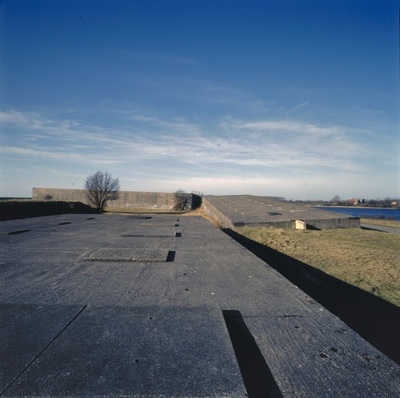 During November 2003, the four caissons and surrounding land were awarded National Monument status, becoming designated as "National Monument Watersnood 1953" by Johan Remkes, the Minister of the Interior. 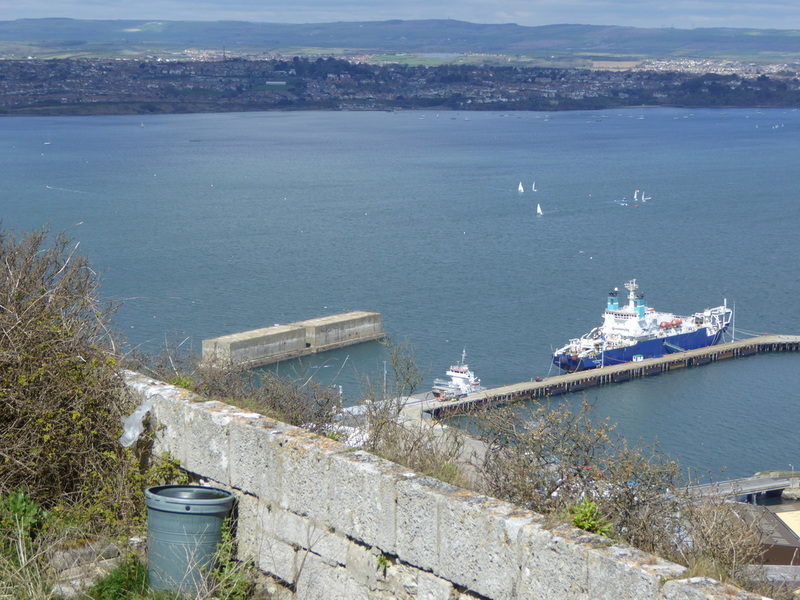 After the removal of the eight caissons from Portland, the remaining two were later permanently moored at their present location in 1962, acting as a wind break to help ships berth at Queen's Pier. 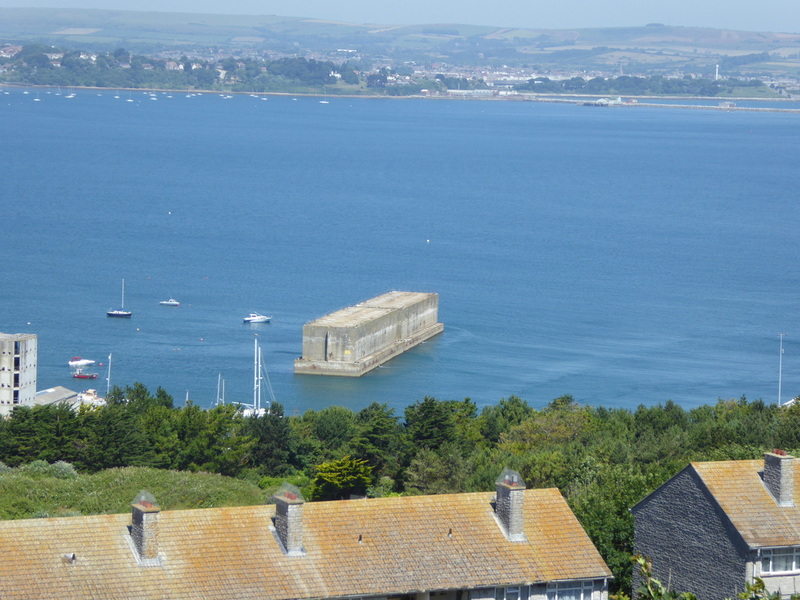 The two sections are appropriately sited in Portland Harbour as a reminder of the important role the Mulberry Harbours played during World War II. 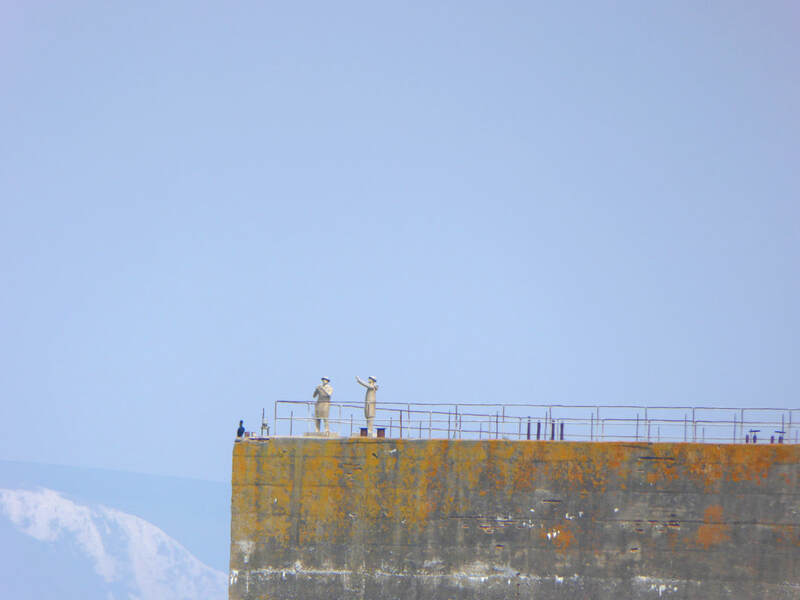 In 2017, six sculptures were erected on top of the caissons, representing two British sailors, two dockyard workers and two American GIs. 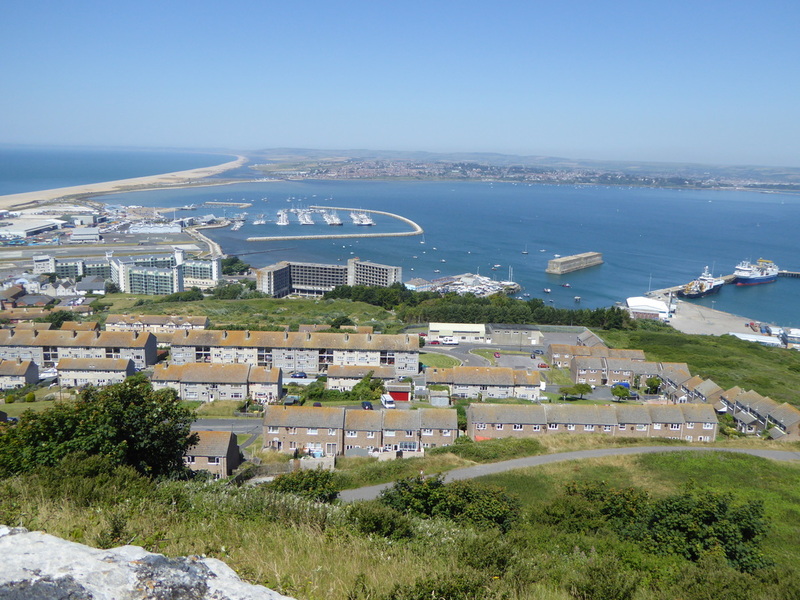 The sculptures were commissioned by Nemesis Properties and created by Dead Walk Designs Ltd of Weymouth. 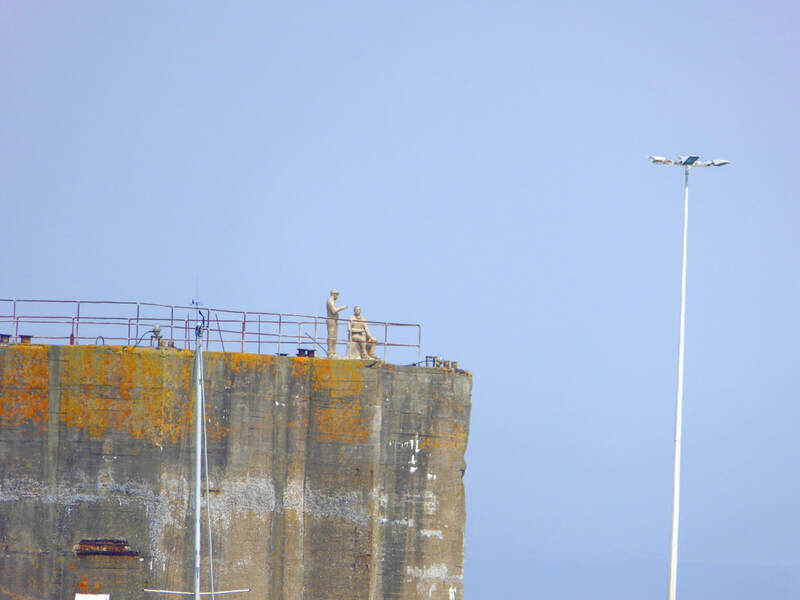 Portland Port Ltd provided assistance and equipment to place them on top of the caissons. The two remaining caissons seen in Portland Harbour. 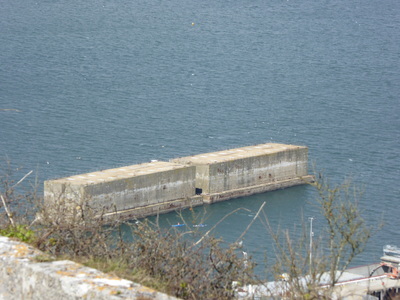 The two remaining units seen from Portland Castle. The units from the Castletown slipway. A closer view from the same position. The caissons seen from above the Verne Common estate. 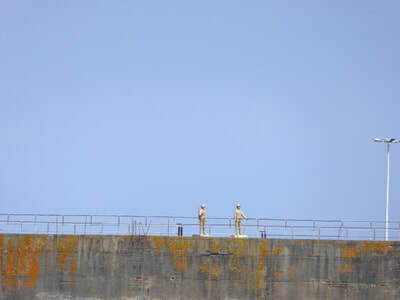 The two units seen from the northern entrance of the Verne Citadel. 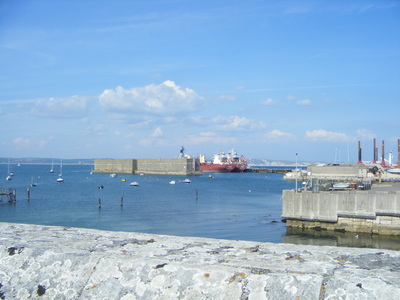 Queen's Pier is located next to it. The units as seen from the Jailhouse Cafe at the Verne Citadel. 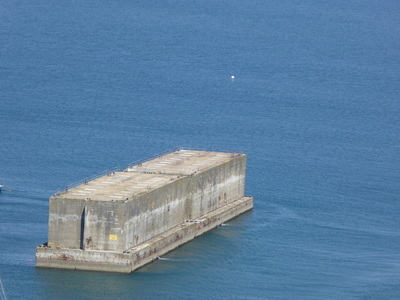 The caissons seen from near Portland Castle. 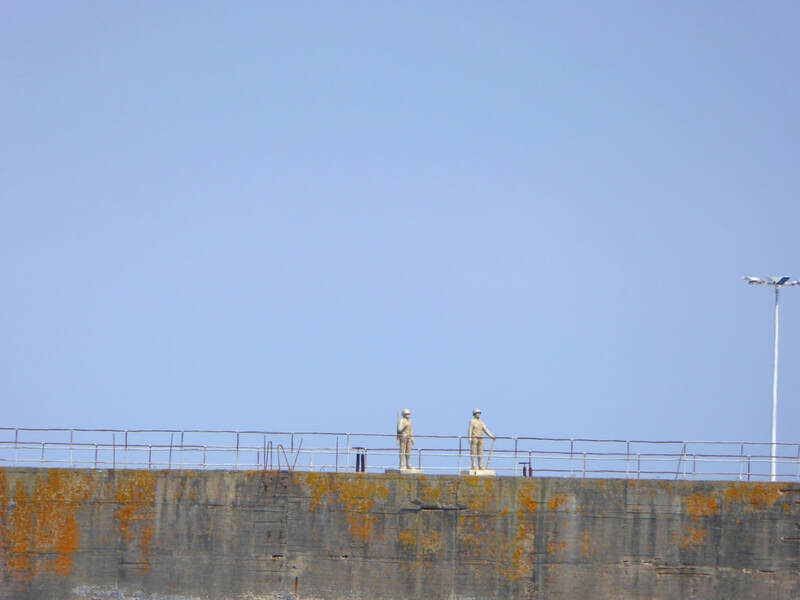 Six statues were erected on top of the caissons in 2017. 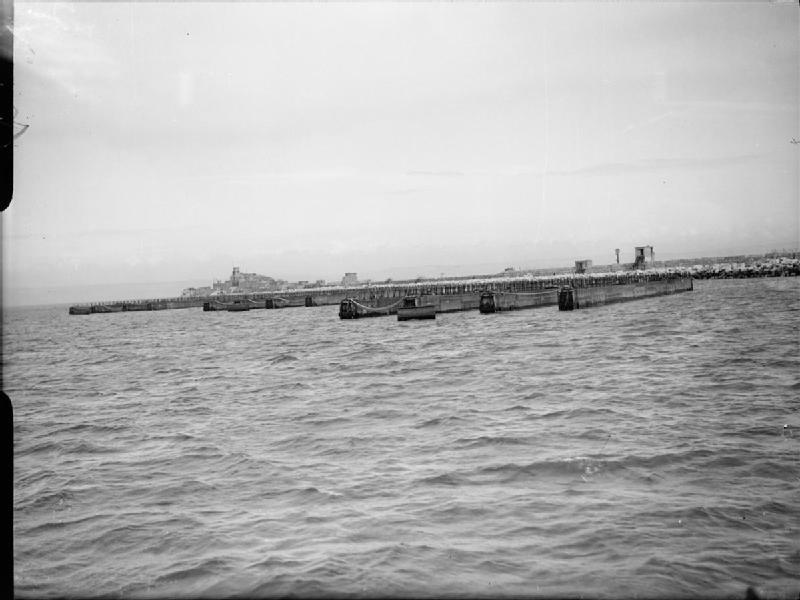 A group of Bombardons undergoing trials in Weymouth Bay, April 1944. 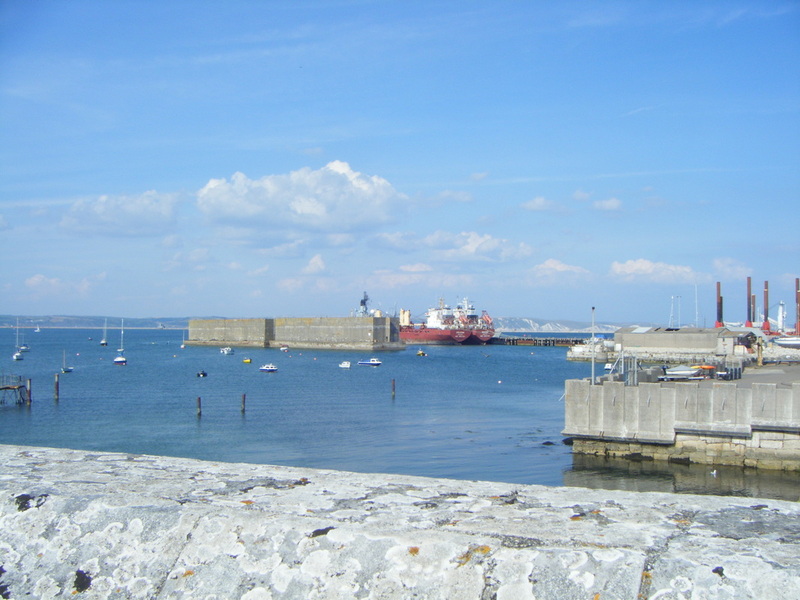 Behind is the north-eastern breakwater arm of Portland Harbour. (Public domain image from the collection of the Imperial War Museum). 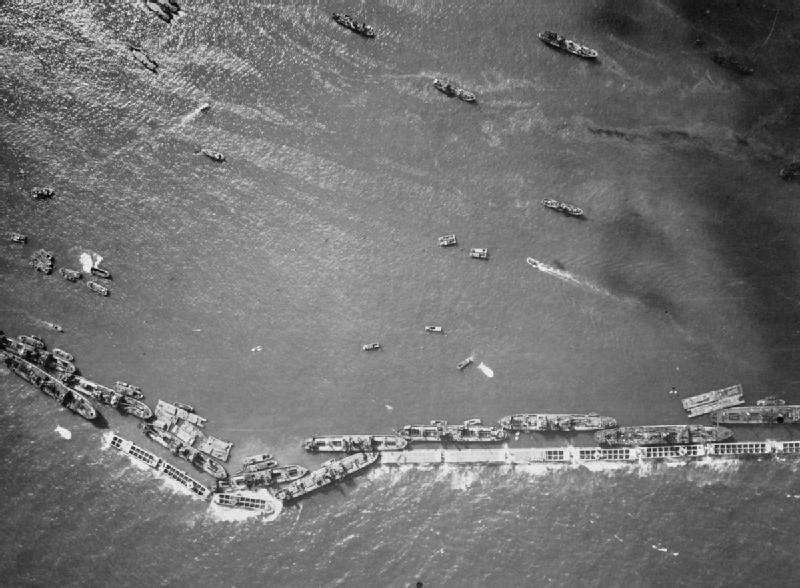 A 1944 aerial photograph of Mulberry "B" off Gold Beach, Arromanches. (Public domain image from the collection of the Imperial War Museum). 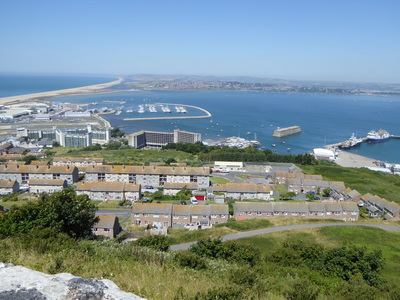 Another aerial view of the harbour. (Public domain image from the collection of the Imperial War Museum).